5 Points Lose one life. Spare Time 5 Points Watch the game's end credits. A Little Bumpy 10 Points Get to the last question with 2 lives. No Hard Feelings 10 Points Get to the last question with 1 life and no skips. A Very, Merry Cartoon Christmas 25 Points Finish the game. Flawless 25 Points Get to the last question with all 3 lives and 3 skips. #Throwback 5 Points Secret Medal: Unlock this medal to view its details! 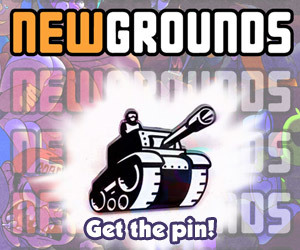 Nostalgia Hurts 5 Points Secret Medal: Unlock this medal to view its details! I Know That Voice 10 Points Secret Medal: Unlock this medal to view its details! 5 Points Complete episode 5. Golden Astronaut 5 Points Find the hidden Golden Astronaut token. Story Tokens V 5 Points Find all the Story Tokens. Legendary 25 Points Secret Medal: Unlock this medal to view its details! Kill them all 50 Points Secret Medal: Unlock this medal to view its details! 10 Points Passed the tutorial! Bookworm 25 Points Read all books! Hearty 25 Points Find all health upgrades! Kill Billy 50 Points Find and Kill Billy! Syrup Lover 50 Points Find all stamina syrup! The Septic Sword 50 Points Find the Septic Sword! Rescue Ma 50 Points Secret Medal: Unlock this medal to view its details! Hero of Earth 100 Points Secret Medal: Unlock this medal to view its details! Speedrunner 100 Points Participate in the speedrun!